Lobe is a startup company that launched earlier this year. Their mission? To make it easier to create AI tools without coding. Through Lobe, users can access a streamlined drag-and-drop interface which allows them to construct learning algorithms entirely from scratch. In an interview with The Verge, Lobe co-founder Mike Matas explained they aren’t trying to compete with existing software like TensorFlow or PyTorch. Instead, they want to give novices an accessible point of entry. Through Lobe, interested parties can dive into machine learning in a variety of fields from astronomy to architecture. What’s nice about Lobe is you don’t need to download anything. Simply load Lobe.ai in your browser, log in to your Google account, and let your imagination do the rest. When you’re finished, you can even export your project to platforms like the aforementioned TensorFlow and Apple’s CoreML. 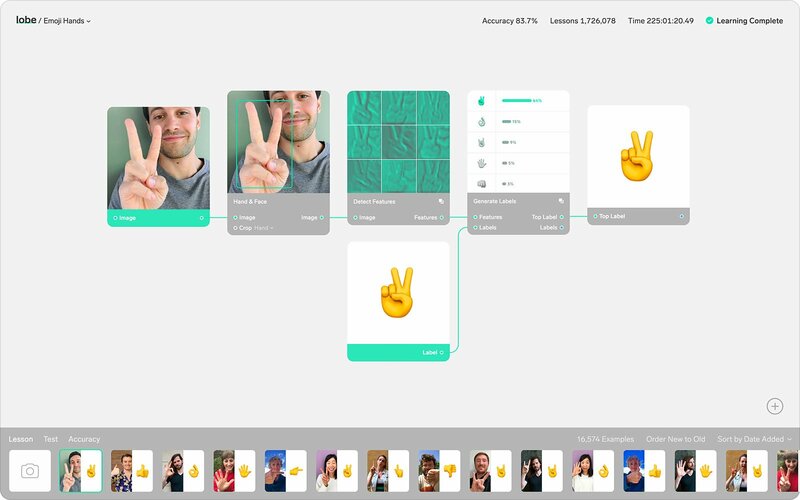 Over the next few months, Lobe’s creators plan to expand the platform by adding new neural network architectures in addition to creating a community where users can share their models. Right now, Lobe.ai is in its beta stage, which means there’s a bit of work that needs to be done to iron the kinks. We’re definitely intrigued, though, and love how intuitive Lobe.ai is shaping up to be. If you’re curious and want to learn more about Lobe.ai you can visit the official website and try out the beta. If you do end up trying Lobe.ai, be sure to let us know in the comments below what you think and what sort of improvements you’d like to see made before it officially launches.